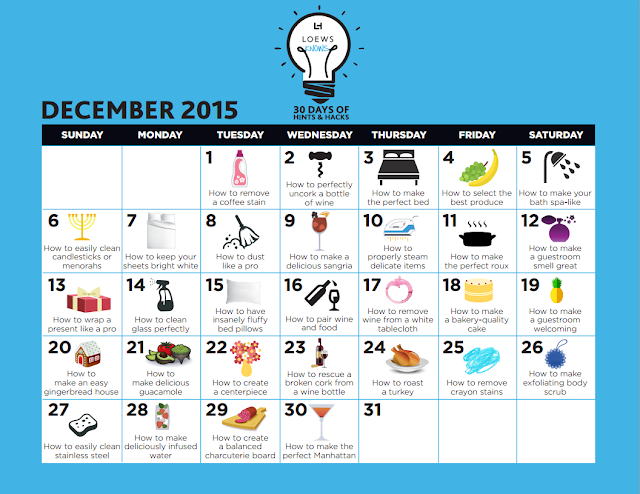 Loews Hotels and Resorts is bringing you 30 days of Elf help for the holidays! If you follow this blog, you are very aware that Loews Don CeSar is my happy place. I am fortunate enough to live less than 45 minutes from this gorgeous building, aka the Pink Palace. Their spa, restaurants and beach are some of the best you will find. Whenever visiting, we get a sense of luxury that I have not seen duplicated elsewhere. Sure they have a great piece of property but that luxury feeling wouldn't be there without the experts who work hard to make a perfect guest experience. 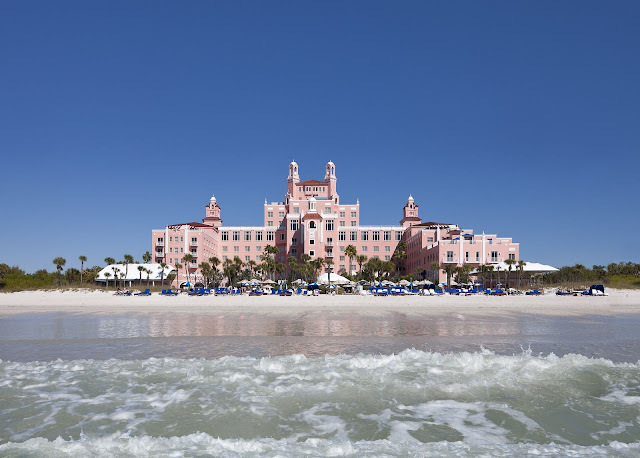 Launching December 1st, instructional visuals to feature “30 Days of Hints & Hacks” from experts across the brand including Loews Don CeSar Hotel. These tips come just in time for the holidays and will impress your guests and provide the Loews standard of hospitality at the comfort of your home. All you need to do is follow along with the “30 Days of Hints & Hacks” throughout December on the Loews Hotels & Resorts’ Facebook, Loews Twitter Page and Loews YouTube channel.